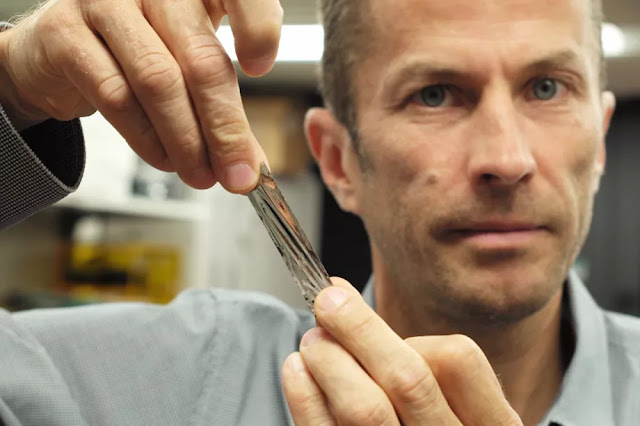 Scientists at IBM have captured a whooping 330 terabytes of uncompressed data into a cartridge that can easily fit into anybody's palm using Sony's Magnetic Tape. This uncompressed 330 terabytes of data is the equivalent of 330 million books. Tape drivers were invented about 60 years ago and were originally used for archiving of Tax and Health care documents. 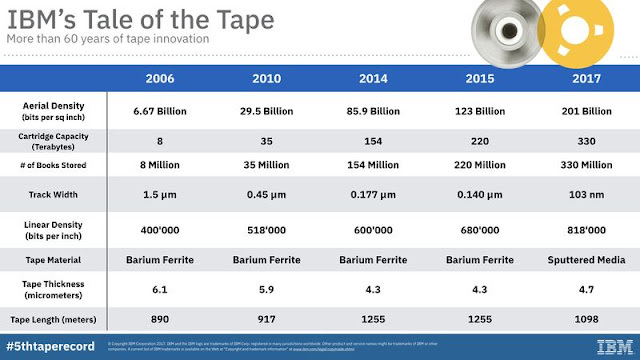 The magnetic tape which was developed by Sony Storage Media Solutions indicates the viability of continuing to scale up storage on tapes for another decade. "Tape has traditionally been used for video archives, back-ups files, replicas for disaster recovery and retention of information on premise, but the industry is also expanding to off-premise applications in the cloud,"IBM fellow Evangelos Eleftheriou said in a statement. "While sputtered tape is expected to cost a little more to manufacture than the current commercial tape, the potential for very high capacity will make the cost per tera byte very attractive, making this technology practical for cold storage in the cloud." To achieve the 201 gigbabits pers square inch, researcher at IBM had to develop several new technologies. IBM worked with Sony closely for several years, focusing particularly on enabling areal recording densities.